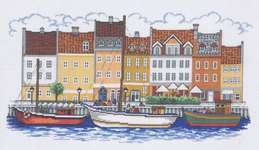 A pretty harbour scene with tall houses by the quay and little fishing boats. 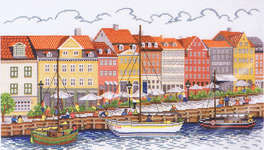 The kit has a large scale black and white chart printed 10 stitches to one inch on an A3 sheet with key. 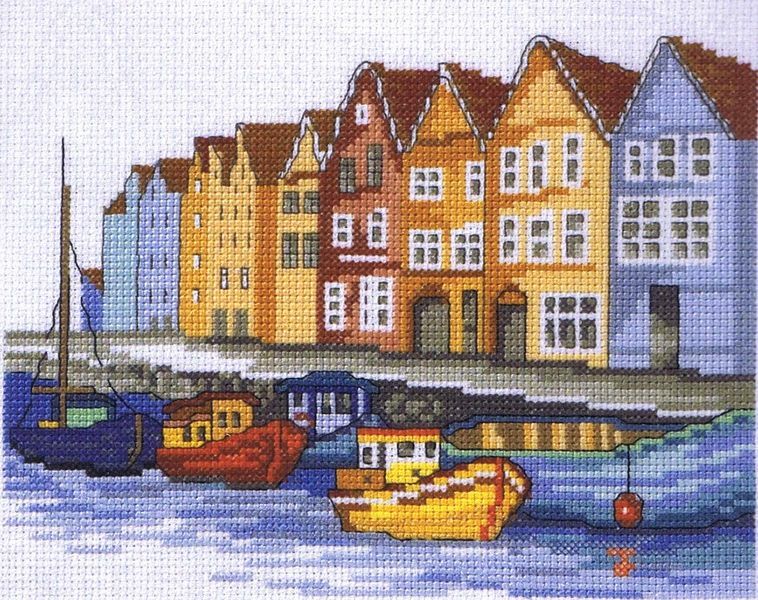 The pattern is worked in whole cross stitch and backstitch using 25 shades of stranded cottons over 110 by 80 stitches.